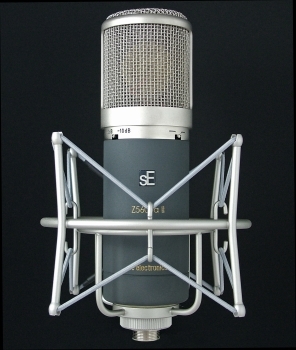 The Z5600a II is one of the most versatile mics on today’s market. With 9 graded steps through omni, cardioid and figure of eight patterns, 10dB pad and bass cut, the Z5600a II finds uses in a huge number of applications, from mic-ing a live drum kit, to overhead on a choir. Above all though, this excellent mic has won its praise on delivering superb vocal recordings, with natural warmth and incredible detail. This beautiful mic, comes in a wooden presentation case, cradled in a full aluminium flight case with a large shock-mount and a brand new brushed Aluminium PSU with pattern switching and cables.